Keith is a creative director at Red&Grey, a design and branding agency. He has over 20 years experience in branding, design for print, digital, campaigns and spaces. He help clients grow by adding value and making things better using a collaborative process that is research based and concept-driven. 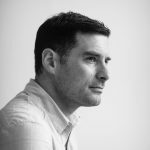 He has worked with clients on national and international projects of varying size and scale – such as Ibec, NCAD, Oxford University and the Vatican.